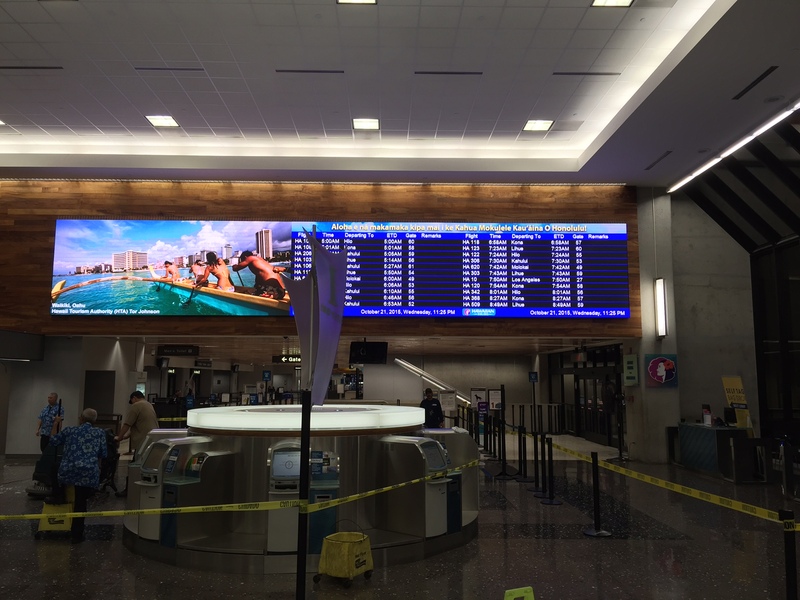 Hawaiian Airlines have transformed their visitor welcome with the installion of two 5mm NanoSlim large format digital canvas displays. Integration with existing bulkheads provided a simple path creating an outstanding impact for visitors in both terminal locations, with welcome messages and clear FIDS infomation maximising the passenger experience. The result is an outstanding example of digital display technology fused with relevant content crafted to engage with visitors travelling through these terminals. The NanoSlim technology provided a light weight outcome enabling a large digital surface area to be easily installed on existing building features. The display depth is less than 80mm. The building block approach that is unique to NanoLumens provided a fast installation path minimising terminal disruption, see time lapse video of both installations. The high resolution image outcome was important. By chosing 5mm pitch these displays have been future proofed and resolution will remian relevent for many years considering the viewing distance, scale of each display and the varied content programmed to assist and welcome visitors. Each Digital Canvas is 13.6 metres long; 2.1 metres high; 80mm deep; 5.3mm pitch. The low power requirement, negligble heat generated and silent operation delivers a high standard of sustainablilty. 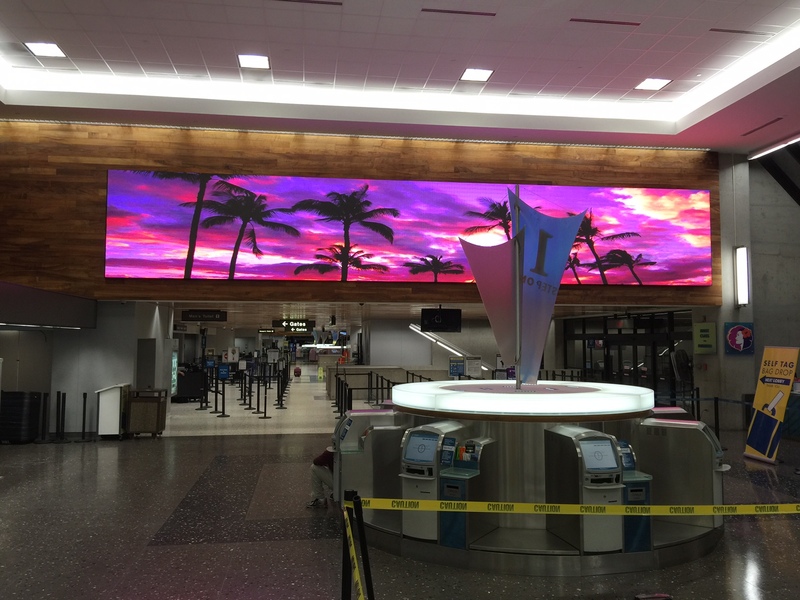 As the life cycle to half brightness is 100,000+ hours these displays will deliver a decade long technology solution.